French Club and Ligue 1 leaders Paris Saint-Germain (PSG) has successfully concluded its winter training camp at Aspire Zone Foundation (AZF), which took place from 13 – 17 January. 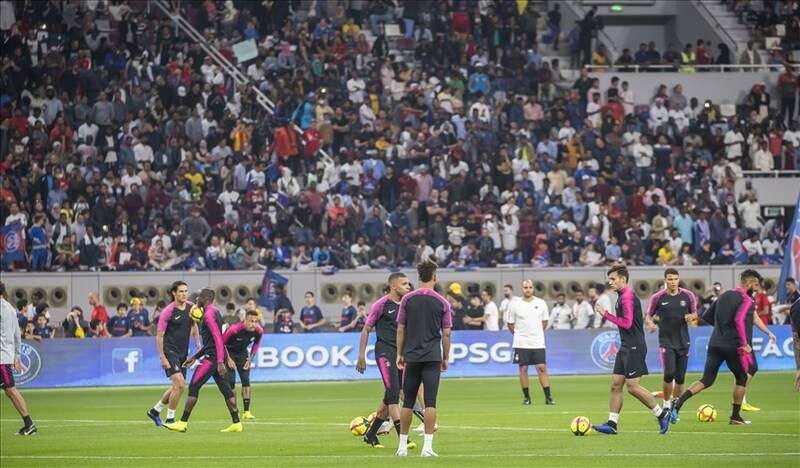 PSG travelled to AZF during the winter break to benefit from the ideal weather conditions in Qatar as they prepare for a number of crucial international matches in the coming weeks. 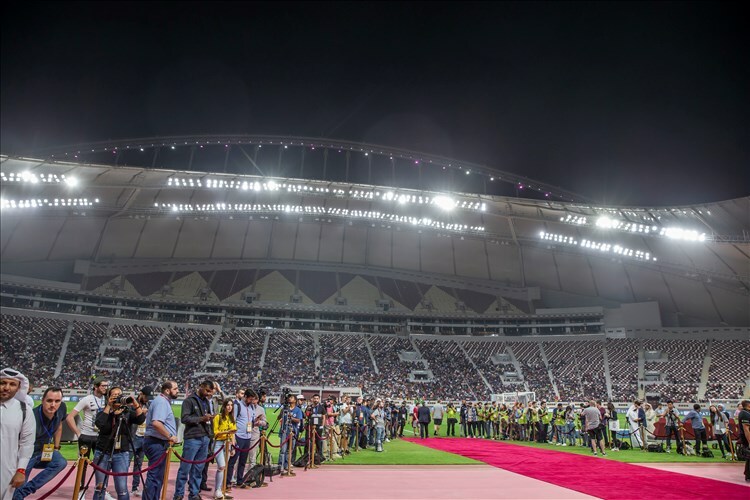 The club once again chose Aspire Zone – Qatar’s sports hub – as the location for their training camp on account of its world-class facilities and infrastructure, one of the key reasons that Aspire Zone is increasingly the destination of choice for international teams. The players were joined by media representatives from countries including France, Italy, United Kingdom, Spain, Japan, China, and Brazil. 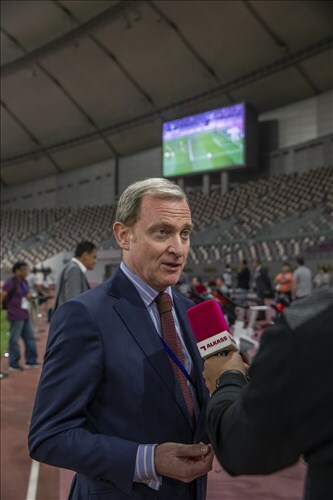 During their time in Qatar, media delegations were also given tours of Aspire Zone member organisations, Aspetar, the orthopedic and sports medicine hospital, and Aspire Academy. During their training camp, local, regional and international media representatives had the opportunity to meet and conduct exclusive interviews with a number of PSG stars such as Gianluigi Buffon, Edinson Cavani and World Cup winning striker Kylian Mbappé. The stars attended a press conference specially organised by Aspire Zone and attended by more than 25 members of the media. UruguayanstrikerEdinson Cavani, PSG’s footballer said: "The pace with which the infrastructure is developing in Qatar is incredible. It really is a wonderful country. 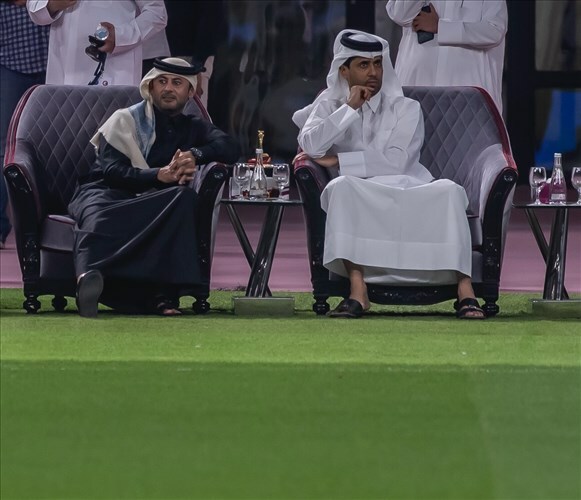 The participation of Qatar’s national football team in the upcoming Copa America will be good. The tournament is an excellent opportunity for teams to experience different cultures." 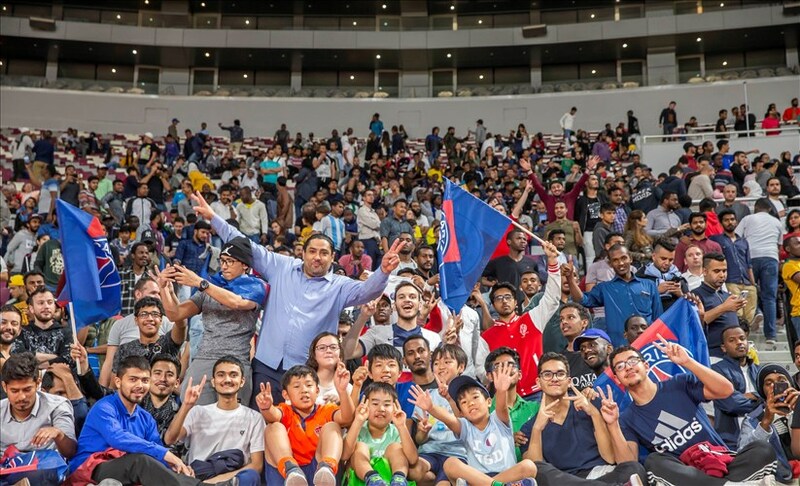 This year, Aspire Zone Foundation provided a unique experience for members of the public with an open training session that attracted thousands of football fans from Qatar and abroad to see footballing stars like Neymar, Cavani, Mbappé and Buffon train. Fans had the opportunity to see their heroes play from just a few meters away. Many fans that attended were delighted to have been given the opportunity to watch their favourite team train and were very complementary about the facilities available to the team for their training camp. AZF is globally recognised for providing an ideal training environment for elite athletes, giving them access to training fields of the highest quality, multi-purpose halls that cater to a variety of sports as well as swimming pools, gyms, and indoor and outdoor running tracks. This provides the ideal environment for teams to prepare for the next phase in their domestic and international competitions. Of particular importance to football clubs are Aspire Zone’s training pitches. Aspire Zone Foundation’s commitment to maintaining the highest international standards make its offer truly world-class. Teams return to AZF’s because the quality and convenience of the venues are at least equal to – and often better than – even the biggest teams’ home training facilities. From pitch quality to training equipment, hospitality services to medical centres, AZF’s facilities rival those of the greatest sports teams around the world. In addition to its outdoor facilities, Aspire Dome is the world’s largest indoor multi-purpose dome, offering the highest quality facilities for multiple sports and international events. The total seating capacity of Aspire Dome is 15,500 across 13 separate multi-sport halls. It is located next to Aspire Academy. During the winter months, the temperature is moderate and rarely exceeds 25 degrees Celsius. For European teams eager to stay sharp during their winter football breaks, this provides an ideal alternative to domestic training camps. Aspire Zone offers a memorable experience during its training camps by allowing members of the public to watch their favourite stars training from just a few meters away, and the chance to collect autographs from world-class footballers.